Anyone want to share some new setups? I still am having a heck of a time getting around in these. The setup I've been playing with lifts the LF off the track like a freakin latemodel,...lol!!! ANY and ALL help would be appreciated. I race offline in the USORS. 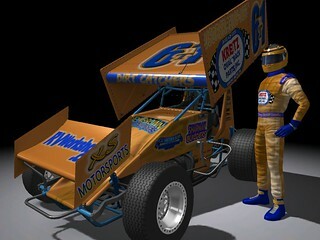 Right now we are using the DWD 2016 sprintcars in rfactor1. This sim blows that away,.........if I could only drive these things. Check out my YouTube channel.......terry crash61 landis....I usually make a small vid of my race. Let me know what you think.